Space flight historian James Milton Busby died June 1 after a lengthy hospitalization. He was 61 years old, and had suffered many health problems in recent years. He is survived by his wife, Arlene, a longtime LASFS member. They married in 2012. James volunteered and consulted with the California Museum of Science and Industry in Los Angeles on the 1980 redesign of their aerospace museum. He was hired in 1984 as a museum assistant and was employed there until 2003. The museum awarded James with an Honorary Doctorate degree of Space Science Information. He was part of the Organization to Support Space Exploration, the first group to do historical recreations of the Apollo Moonwalks. In 1979 they became involved with Rockwell International’s speakers bureau in Downey, Ca. where James was master of ceremonies for the open houses and astronaut visits to the plant from 1979 until he plant closed in 1999. James was employed in 1999 by the Space Frontier Foundation as Director for its International Lunar Conferences for two years. He also worked in space suit sales and rentals at Global Effects in Hollywood. He served on the History Committee for the American Astronautics Society, and frequently wrote for Space Times magazine and Apogee Publishers Mission Report book series. In 2006 he joined XCOR Aerospace in Mojave, Ca, to rebuild their media relations. Late in life he was part of the Aerospace Legacy Foundation of Downey, CA and had been trying to raise funds to represent ALF at Spacefest VII next week in Tucson. This entry was posted in In Passing and tagged Dr. Jim Busby, LASFS by Mike Glyer. Bookmark the permalink. Terrible news. So sorry to hear it. Jim was a good man. Oh, no. 🙁 I’ve benefitted from Busby’s research on several projects, as well as just appreciating it all. Much sympathy to those who knew and cared for him. James was a beautiful, gentle soul who will be terribly missed. My sympathy for Arlene and his sisters. I was married to Jim back in 1987 for a few years. God speed and fair winds ……. We had loads of fun at Rockwell family nights and those after show pizza at shakeys. Thank you for introducing me several times on the Rockwell speakers Bureau. Didn’t know him, but heard of him before. So sorry for his passing. May his wife have peace and strength. See you on Mars, Jim! Just trying to find the words, and get into… the acceptance, that Jim is gone… And, finding… the right things… to say, to Arlene and his sisters… Sigh! I can’t! I can’t! But… at least, he’s finally at peace. And, I find… I’m feeling, an emptiness, that… can never… be filled! James and I became close in 1976, Very Fond Memories! Oh my Gosh, that’s been 40 years now! We have been through much together I will miss you Greatly! All my Love to Arlene and Family! I knew Jim for many years.. though we fell out of touch, he was always a kind and classy individual. He will be missed. Jim was a wonderful diplomat for the cause of space exploration. This is a terrible loss for the community of space enthusiasts that he loved. His energy and enthusiasm cannot be replaced. Gravity can no longer keep him chained to this earth, so I am sure his spirit is soaring tonight, visiting the far away landscapes of distant heavenly bodies with their night skies full of strange new constellations. He was married to my sister Claudia in the late ’80’s and while they eventually divorced he was always “Uncle Jim” to my children. He was a great man with an awesome sense of humor. He helped me get employment at the Museum of Science and Industry. I attended many of the Rockwell Family Nights with my children where they learned to love space exploration. My family will always remember him with love. Known Jim since our days in the 1990’s at the Space Frontier Foundation. He was a very good fellow who had space in his blood and breathed it like oxygen. This news breaks my heart. Jim was such a nice guy. His enthusiasm for space exploration was infectious and so very sincere. I will miss him so very much. My best to Jim’s family. Sorry to hear his passing. Those Rockwell Open Houses were always a lot of fun. I grew up with Jim and the Busby family. His sister Chris was my best friend. I remember when the kids would fight, his sisters would knock down his Apollo models and he would tear of the Bobby Sherman & David Cassidy pictures from their walls. He was a Space junkie then. God speed Jimmy! My condolences to his sisters and his wife Arlene. 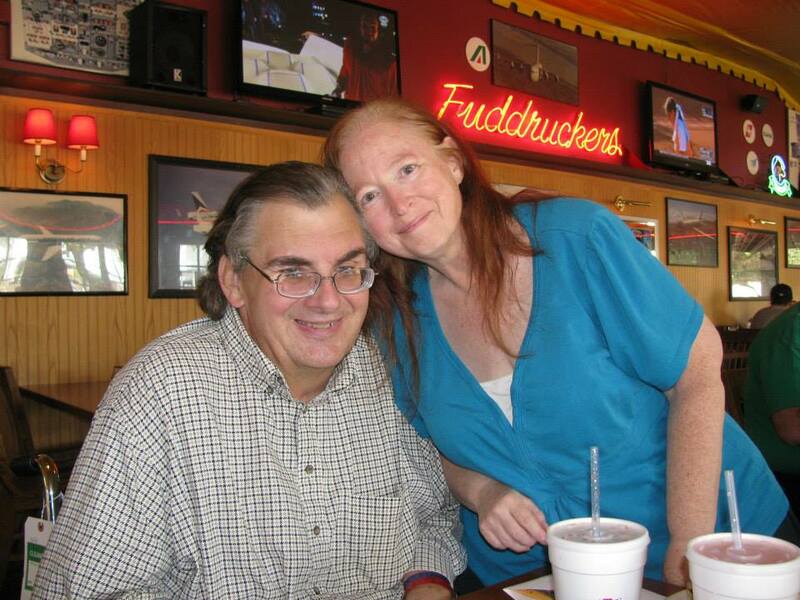 My late husband, Randy, was a longtime friend of Jim’s. One of our earliest dates, in February 1981, was to his first wedding. My condolences to his family. First, my condolences to Arlene and their families for their great loss. 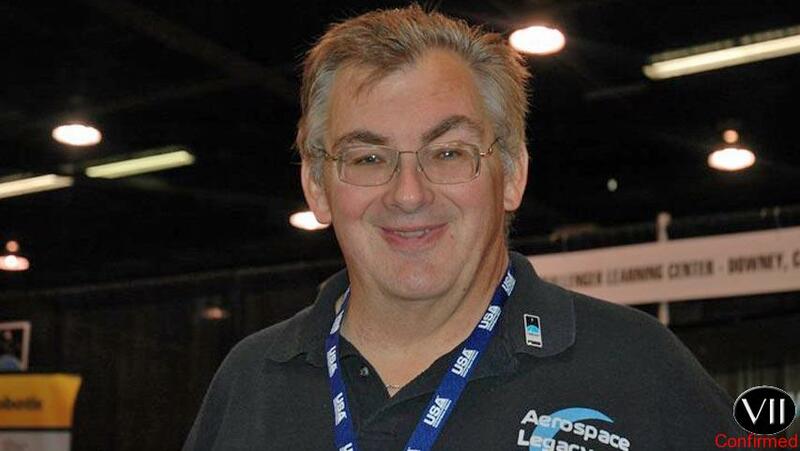 Jim was a great fellow and a passionate spokesman for space. His enthusiasm kept the Dream alive and inspired new generations to fulfill it. I will miss seeing him at “Explore JPL 2016”. Boldly go, Jim. Boldly, go. I will miss you, Jim. Although we grew apart, you still were my first love. I’ll see you in the stars. I have known Jim for many years though The Orange County Space Society and Oasis. And though LASFS and LOSCON his wife Alrene. Jim loved talking about the space program with my husband Art. Our condolences to Arlene and family, he will surely be missed.